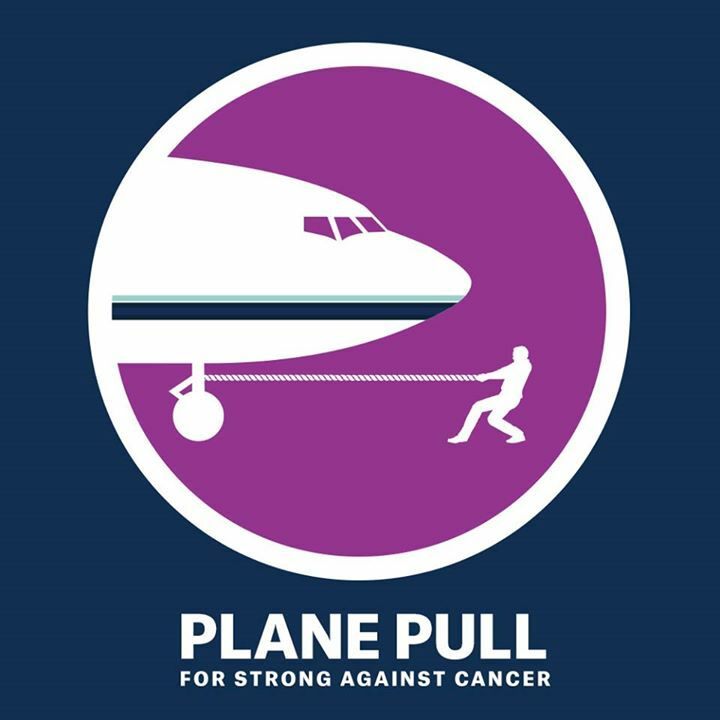 Two Seattle celebrities will compete for the title of 2015 Plane Pull Champion while raising money for pediatric cancer research: Russell Wilson, quarterback of the Seattle Seawhawks, and Joel McHale, star of Yahoo! 's Community and E! 's The Soup, will captain two teams to see which can pull a 92,000-pound Alaska Airlines 737-800 25 feet in the shortest amount of time on July 28. The broader goal of the event is to build national awareness and raise money for Strong Against Cancer, a multi-year initiative dedicated to ending childhood cancer. "Alaska and Russell have been partnering to support Strong Against Cancer since its beginning. Over the past eight months, Alaska has donated $175,000 to support Strong," said Sangita Woerner, Alaska's vice president of marketing. "We are excited to have Joel return to his hometown to join our cause, given his deep personal connections with the Seattle area. We can't wait to cheer them both on, and win or lose, we are all on Team Strong." Wilson and McHale, who grew up in Mercer Island and played football for the University of Washington, are forming their teams from a combination of Alaska's maintenance and engineering employees and winners of a contest now open to Washington residents on Alaska's Facebook page. Later this month, Alaska's Seattle-area Mileage Plan members will be invited via email to purchase tickets to cheer on their favorite team from the bleachers. All proceeds will benefit Strong Against Cancer. Funds raised go directly to research in immunotherapy treatments developed by the Ben Towne Center for Childhood Cancer Research at Seattle Children's Research Institute. In clinical trials, this breakthrough treatment has had a 91 percent success rate. Fans are encouraged to vote for their favorite team by texting "TEAMJOEL" or "TEAMRUSSELL" to 501501 to donate $10 to Strong Against Cancer (texting charges may apply, depending on yoru carrier), and follow along with the fun using the hashtag #AlaskaPlanePull on Twitter and Instagram.